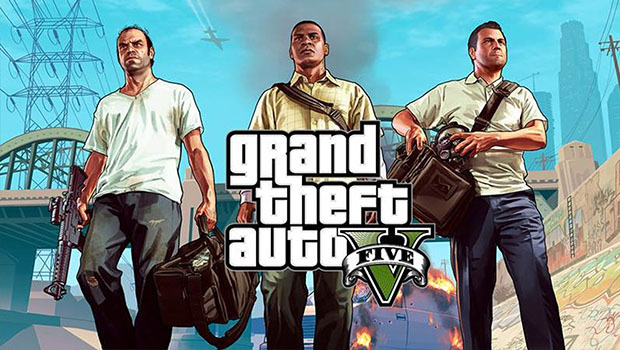 Grand Theft Auto V is to be quite frank, a port done right. It takes what is already an amazing game and improves to not only look and control better, but it also makes it feel like it was made for the PC. From the amazing draw distance, to having a custom music station, GTA V on PC is amazing, beautiful, and more vibrant than ever. The PC version of GTA V is visually gorgeous. With maxed out settings it is easily one of the best looking games to date. Although the graphics have not been updated as much as the jump from Xbox 360 and PS3 to the next gen consoles, they are still noticeably more crisp and more fine tuned. Driving down Los Santos at night gave me goosebumps with just how vibrant and realistic Grand Theft Auto V looks Walking along the beach during the day was splashed with life and color. The weather effects are also breathtaking– I am not sure I have ever seen more realistic or beautiful thunderstorms, and the same can be said about the sunrises and sunsets. I did however have some minor annoyances with textures disappearing and pop ins, but those were just minor bugs and went away quickly. The range of settings for the PC also really helps make this feel like more than a port. For most of my review I used maxed settings on a high powered desktop, but I did use a computer that also barely met the minimum requirements. What I found was a less impressive but perfectly playable game. The range of options makes it feel like it was made to be on PC, and I was able to tweak and tune it on multiple computers so it not only ran, but ran how I wanted it to. My only complaint, which is still present from the PS4 version, is the FOV slider does not go as high as I would like. Conversely, the biggest plus is the draw distance slider. It has had me giddy since I got the game because what it does to the experience is so breathtaking. Turned all the way up and standing on the pier I was able to see houses dotted along the hills across the town. It is not only technically impressive, but frankly, visually stunning. The control options seem to be just as impressive and allow much more control than any previous GTA installments. After playing GTA V across Xbox 360, PS3 and PS4, I have become quite used to a controller for this game. After jumping in and playing in first person mode, however, I realized that GTA V on PC was made for a mouse and keyboard. It felt natural and the precision was spot on, although I didn’t enjoy driving with the mouse and keyboard. Then I realized one of Rockstar’s more ingenious moves — they allow multiple controllers to be used simultaneously. In other words I could run and gun in first person with my mouse, then jump in a car and use my gamepad seamlessly to drive. It is the first game in recent memory that can use a controller or mouse, and switch between the two to best fit the activity. The biggest change to Grand Theft Auto V is the online portion, specifically the new heists. My first Online Heist launched seamlessly, and I had no problems getting in or playing. It was very easy to transfer my online character (which I have had through 3 consoles now) and jump right in. I was pleased to notice that I had minimum connection or lag problems. Heists, however, are the main reason to play online. Setting up heists, choosing how it will happen, and then accomplishing it is one of the biggest rushes I have had in a co-op experience. I absolutely love heists, and feel it is one of the biggest reasons to now own Grand Theft Auto V, period. The missions are not for everyone however. They are best played with friends and with microphones. The difficulty and amount of coordination on these heists is also very hard to be able to pull off with random pick-up groups. Accomplishing increasingly hard missions, using tactics and getting through them as a team is exhilarating, and frankly the source of a great deal of the fun on offer here. Grand Theft Auto V on the PC takes an already amazing game and makes it better. Every aspect just seems sharper and better than previous releases. This is how all ports should be handled. Growing up in a small Colorado town, Bryan has always had plenty of time to play games. PC is his first choice of tech followed by the PS4. Graduating at 16 Bryan knew he wanted to be a writer and wanted to combine his love of games into that and found Gaming Trend in 2012 where he quickly became a member and started writing for them as soon as he could. He is still at Gaming Trend, but now has 2 kids, a puppy, and a lot less time to play the games he loves, but he always finds a way to get back into gaming.